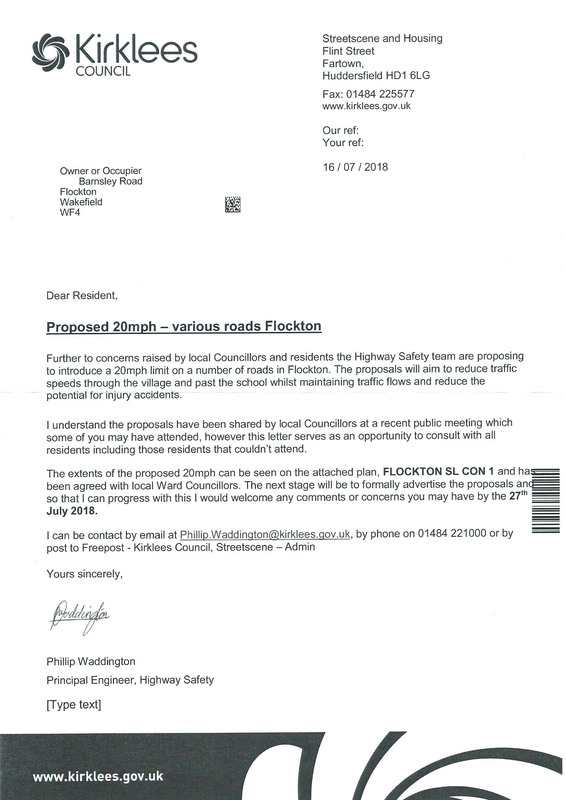 Flockton residents have received official notice from Kirklees Council, that 20 mph speed limits are to be considered for parts of the village, to improve road safety. 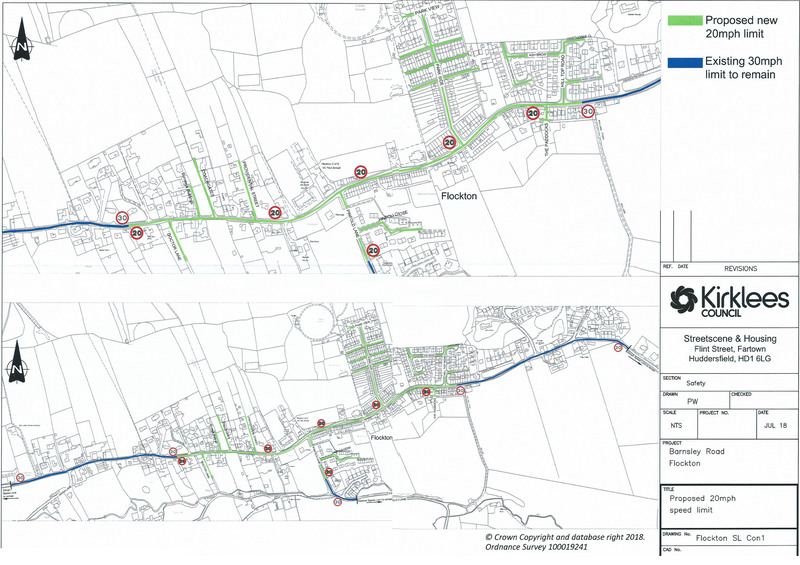 This comes after residents requesting a bypass have continued to lobby the Council to take a more proactive stance on the safety of pedestrians, particularly in the more vulnerable areas of the village, such as in the vicinity of the Primary School and existing traffic calming. The images below can be clicked on to enlarge and downloaded if you don’t already have copies. Any comments or concerns can be sent to the Council, via the email shown in the letter, or made by phone call, by 27 July 2018.